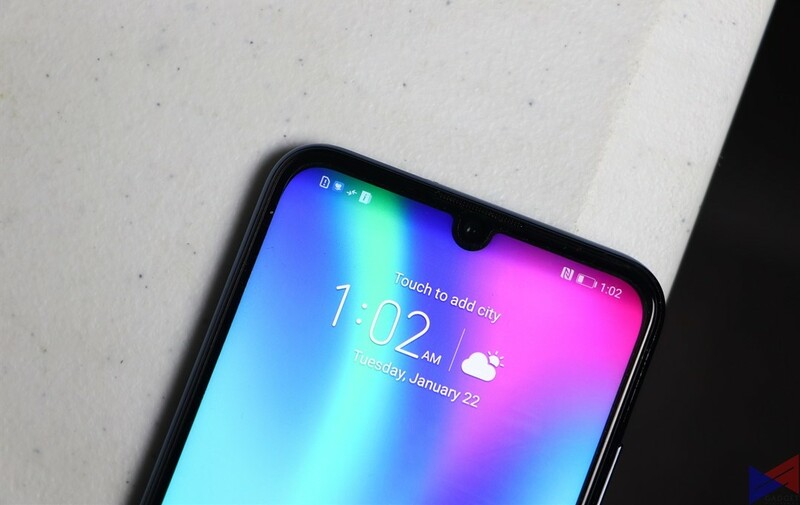 Get Awesome Freebies When You Purchase an Honor 10 Lite on January 26! 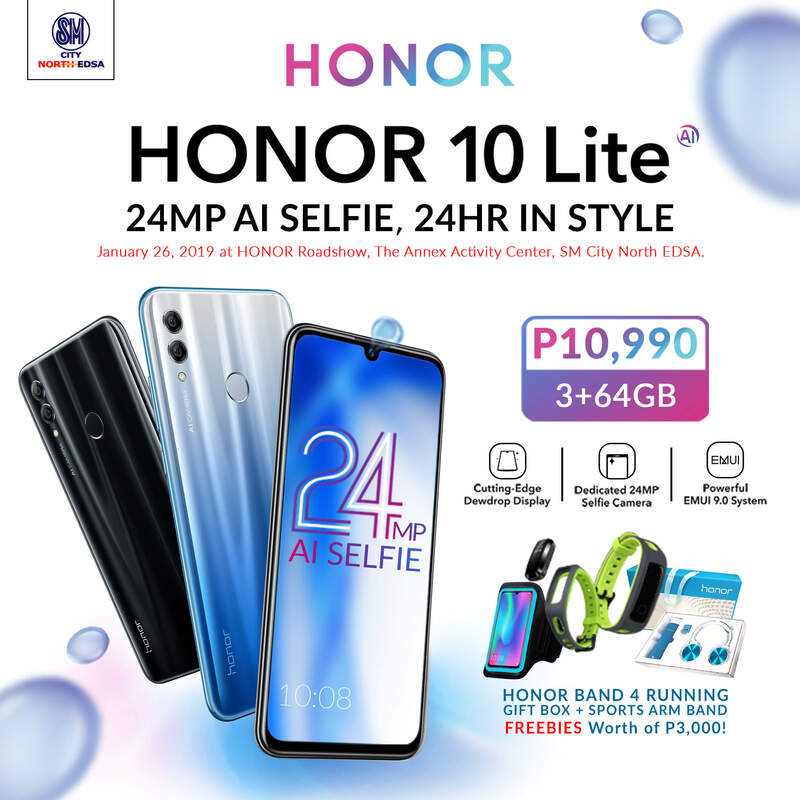 To celebrate the launch of Honor’s newest mid-ranger, the Honor 10 Lite, the company has prepared a special roadshow for its fans at the SM City North EDSA Annex Activity Center this January 26 – the day when the device becomes available for offline purchase. Until supplies last, each purchase of an Honor 10 Lite from the activity center on January 26 will come with a FREE HONOR Band 4, an HONOR Gift Box, and an HONOR Sports Arm Band. That’s around PhP3,000 worth of freebies! As a bonus, those who will purchase a unit from the event will also qualify for an on-site raffle. At stake? a HUAWEI Matebook Laptop! 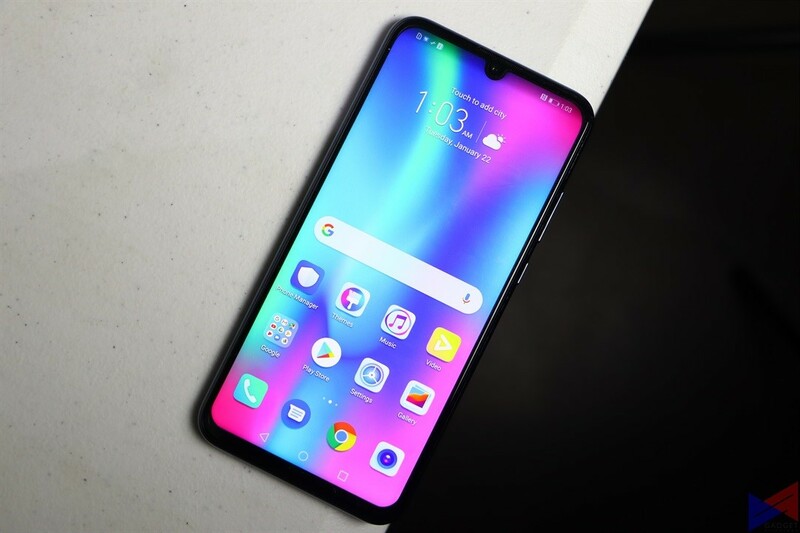 The Honor 10 Lite sports a 6.21-inch FHD+ display and runs on a Kirin 710 octa-core processor, along with 3GB of RAM and up to 64GB of storage expandable with a microSD card. The phone is also compatible with GPU Turbo 2.0, which delivers an enhanced gaming experience in select titles. At the back of the device is a is an AI-assisted dual camera system – a 13MP main camera, complimented by a 2MP depth sensor. It also features Super Night Mode, which lets you take handheld long exposure shots without a tripod. The 24MP front snapper uses an advanced AI Beauty algorithm to customize beauty effects according to your age, gender, and skin tone. It also features AI scene recognition and 3D Portrait Lighting, which lets you select from several studio lighting effects to get the most natural-looking selfies. It runs on EMUI 9 on top of Android 9 Pie, and packs a 3,400mAh battery. 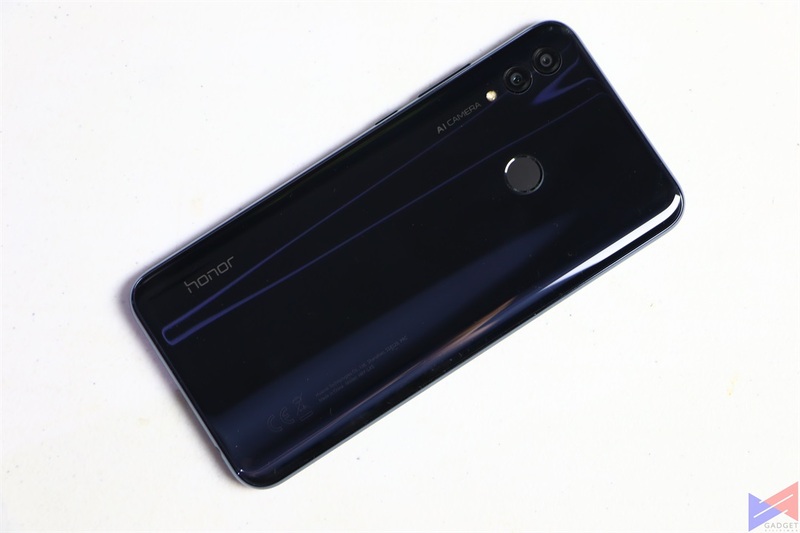 The Honor 10 Lite (3GB + 64GB) will retail for PhP10,990. For those who prefer to purchase through installment, Home Credit, Flexi Finance and other options will also be available during the event. Get Awesome Freebies When You Buy a Realme C1 this Weekend!